Uttar Pradesh, the most populous state of India, has a unique place in the national politics. With a population of 200 million, UP sends close to 15% of the elected representatives to the Indian Parliament, the largest from any state. 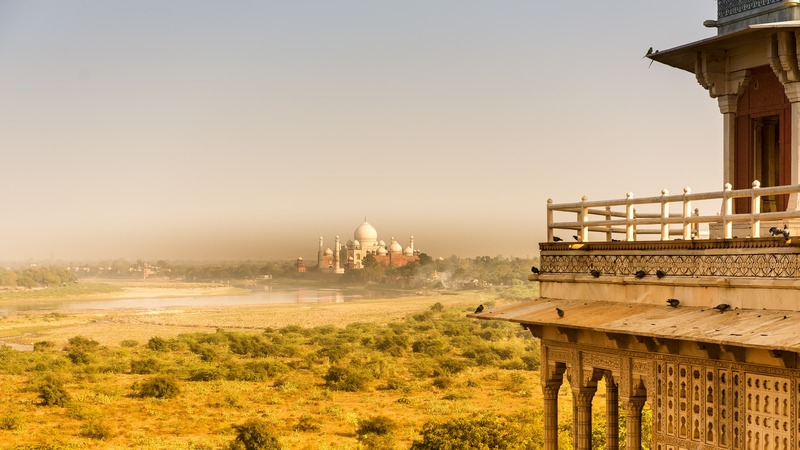 UP is known for its historical heritage, populated cities, crime rates and low per capita income, but what is not known by many is its emergence as a digital state. It has made significant progress in embracing digital in multiple domains of governance. That’s what our research suggests! 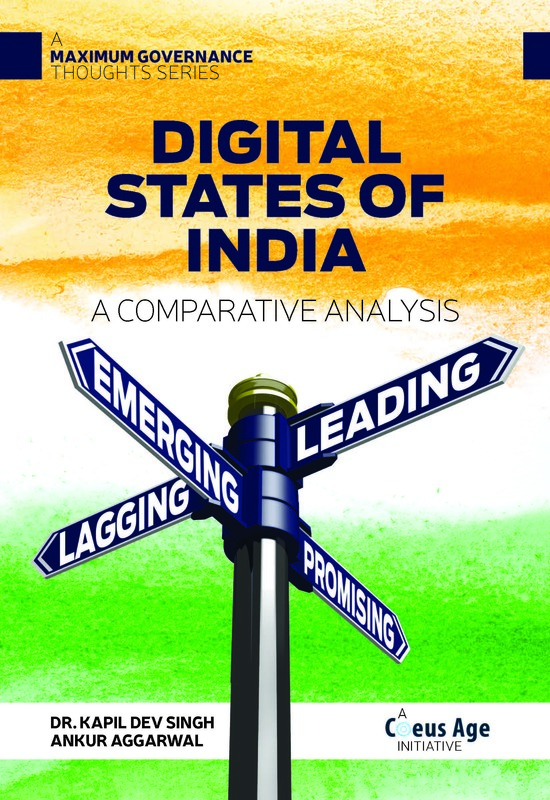 According to Digital States of India – A Comparative Analysis report, Uttar Pradesh is ranked as 10th among the 36 ‘states and union territories’ of the country. The research report by Coeus Age Consulting is based upon assessment on 109 key performance indicators across policy, infrastructure and 14 state specific mission mode projects (MMPs). UP has obtained a total score of 83.6 (out of 150) as compared to 100.1 of Madhya Pradesh, which is at the top. The report also ranks the states and UTs by their ‘policy and infrastructure readiness’ (PIR) and performance on each of the 14 ‘mission mode projects’ (MMP). 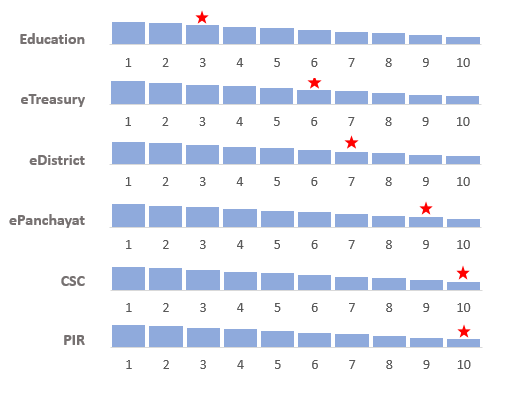 The domains of digital governance where Uttar Pradesh is ranked among the top 10 ‘states and union territories’ include the PIR and Education, eTreasury, eDistrict, ePanchayat, and Common Service Centers (CSC) MMPs (Figure 1). Uttar Pradesh has been leveraging digital technology to directly transfer the scholarship money in the bank account of the beneficiary students (Saksham). To digitally strengthen its treasury operations and in turn empowering the citizens, Uttar Pradesh has achieved treasury computerization, developed a web interface to provide citizen services and achieved integration of state treasury with PFMS of the central government. In Uttar Pradesh, 50+ services of 14 government departments are being offered through the eDistrict platform. To empower about three fourths of population residing in rural areas of Uttar Pradesh by bringing about a transformation in the functioning of the Gram Panchayats (GPs), the Panchayat Enterprise Suite (PES) of applications developed by the Ministry of Panchayti Raj (MoPR) has been adopted. To boost rural connectivity, broadband is being provided in 3600 Gram Panchayats under the BharatNet initiative. In 51,000+ Gram Panchayats of Uttar Pradesh, there are 67,000+ registered CSCs, which make about 130% of the target of CSCs in the state. Of these 67,000+ registered CSCs, about 58,000, forming 87%, are already functional and others are in the process of being operational. CSCs act as citizen service delivery outlets, primarily in rural centers, and enhance the reach of citizen services. Other domains where Uttar Pradesh is in the process of building strength are eMunicipality, eAgriculture, ePolice, and Land Records Digitization (ranks between 11 and 15). During 2015-16, Uttar Pradesh has been the largest producer of food grains in India with about 18.4 % share in the country’s total food grain output. During the same period, Uttar Pradesh was the second largest producer of vegetables, and a major milk-producing state in the country. Given the fact that majority of UPs population is engaged in agriculture and allied activities, it is relevant to further consolidate on ePanchayat and sharpen its focus on eAgriculture and Land Records MMPs. Another area to focus upon is ePolice MMP as law and order is a major governance challenge in the state of Uttar Pradesh. *14 MMPs that were included in the research study – eAgriculture, Common Services Centre (CSC), eDistrict, Education, Employment Exchange, ePanchayats, eProcurement, eHealth, Land Records, eMunicipality, ePolice, Public Distribution System, Road Transport, Treasuries Computerization.